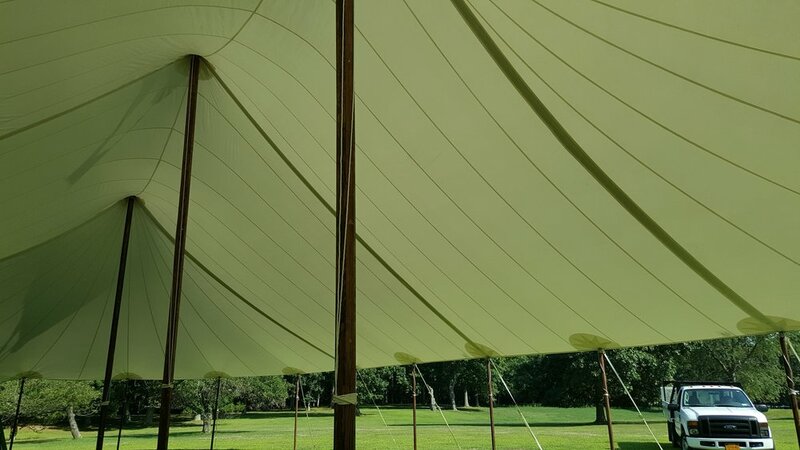 Our signature tent features the award winning Stillwater series top paired with our dark mahogany center and side poles. Rustic. Nautical. The blend of sailcloth and vinyl allow the perfect amount of sunlight to shine though while providing superior protection from rain. These tent packages start at 44'x83' at just 85 cents per square foot. 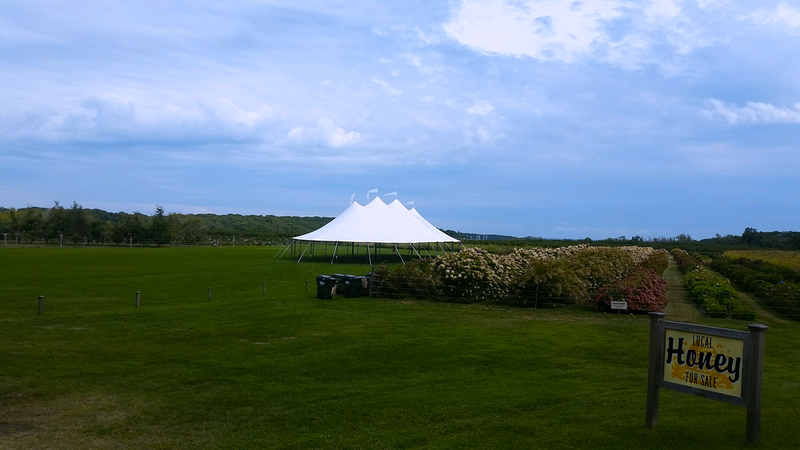 Our vinyl tent tops are completely opaque and block out all sunlight. Your guests will stay comfortable during the hottest of summer days. The rectangular shape limits wasted space and utilizes every corner for streamlined and symmetrical seating layouts. This makes the Whitetop popular for event planners and caterers. These packages start at 40'x40' at just 75 cents per square foot. 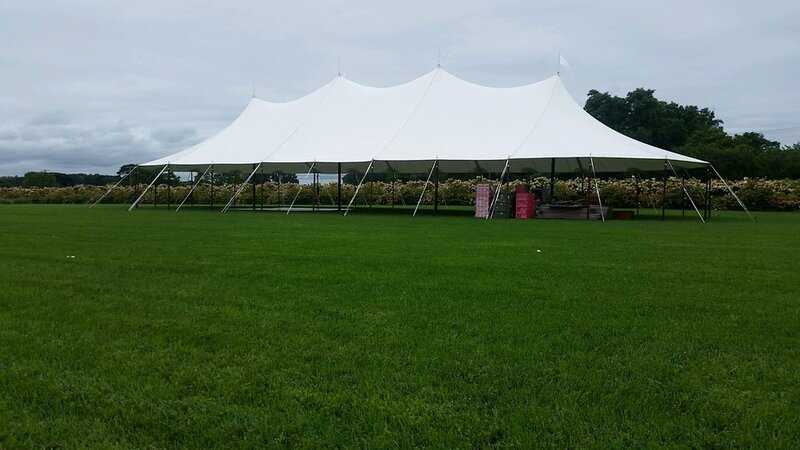 Our high pinnacle frame tents are perfect for backyard events and weddings at smaller venues. We carry 20'x20' and 20'x30' sizes. Book one with solid sidewalls as a service tent to go with your larger tent at a discounted rate.